As my kids have grown up, I’ve been adapting ‘Jesse Trees’ to prepare us for Christmas. There is something wonderful about the idea of an Advent Calendar that moves through the Old Testament stories, carrying us toward the birth of Christ. 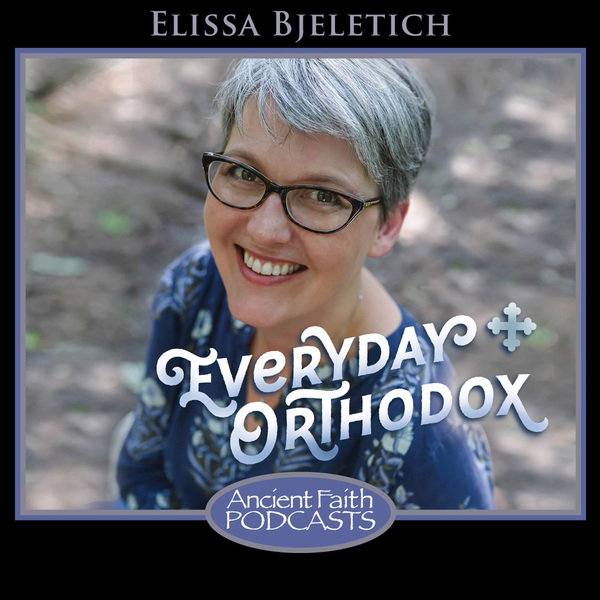 Without an Orthodox Jesse Tree, most of us adapt Western models — which is tricky, and not just because our Advent is 40 days long while theirs is only 25. Our Orthodox Old Testament includes books that the West has rejected and forgotten, and they don’t appear in a Western Jesse Tree. Many of the Orthodox versions out there don’t include ornaments or a story book; they tend to be lists of readings. Every day, I just open the Bible and read a few verses to my kids. Trouble is, they’re mostly prophecies — which, in practical terms, means that they don’t make a lot of sense to the uninitiated. More than once I’ve opened the Bible, read a couple of verses to my kids, and then admitted that I have no idea what this verse means about the coming of Jesus Christ. It’s not a good feeling. While the actual Jesse Trees I’ve found online were not very helpful, the idea of the Jesse Tree is brilliant. Ever since our Creation, God has been preparing us to receive our Savior, Jesus Christ. He has come to interact with us, He sent prophets, parted seas, offered commandments — He keeps reaching out, coming to teach us and to prepare us. How lovely to go back through that Old Testament preparation as we prepare our hearts to receive our Savior! 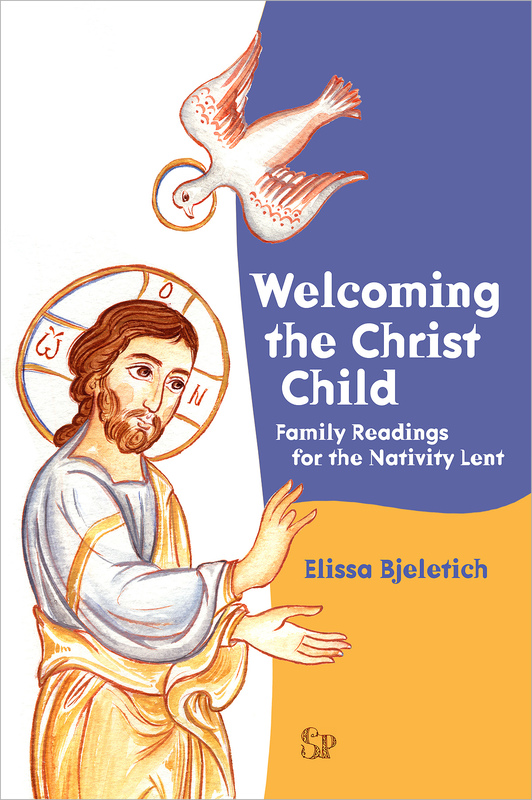 As I became more and more fascinated with the idea of a truly Orthodox Jesse Tree, I found myself writing a book: Welcoming the Christ-Child: Family Readings for the Nativity Lent. 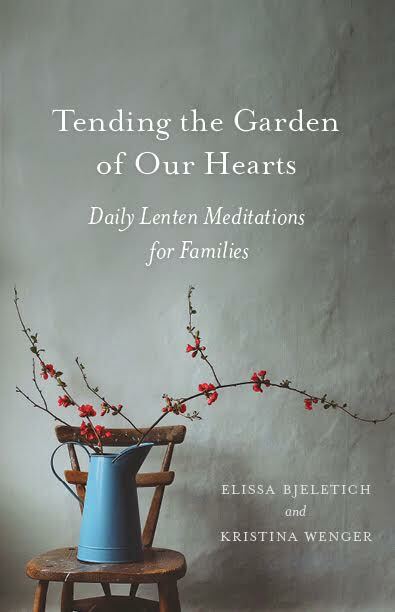 It’s a collection of forty Bible Story readings, one for each day of the Nativity Lent. 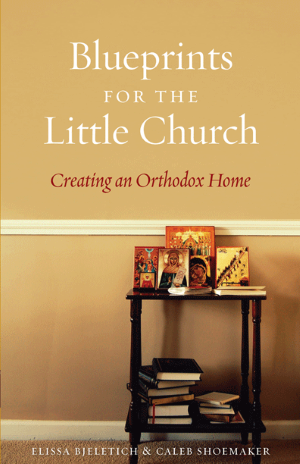 These short, beloved stories from Scripture are followed by a few thoughtful questions and answers to encourage family discussion, and can be used any of time of year to help bring the Holy Orthodox Faith to life in our homes. We see how Old Testament events and prophecies point the way to the birth of the Christ Child, preparing our hearts to celebrate the feast of Christmas with greater understanding and inspiration. I was so honored that Jelena Jeftic produced gorgeous illustrations for each story in the book. 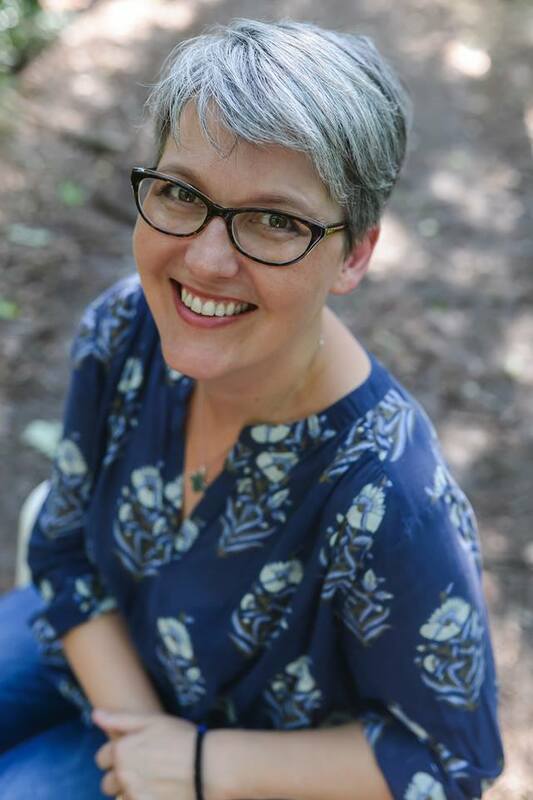 I asked her to create something that was like our holy iconography, but which was also warm and sweet — illustrations that would become very beloved by our young audience, but which also would function to transfer that love to the icons they would see in church. She was able to take those few words and to create illustrations that far exceeded my imagination! I am delighted to say that we now have a book of forty readings, so that every night during the Nativity Fast, we can read together and have a conversation about how this Old Testament story prepares our hearts for Christ. 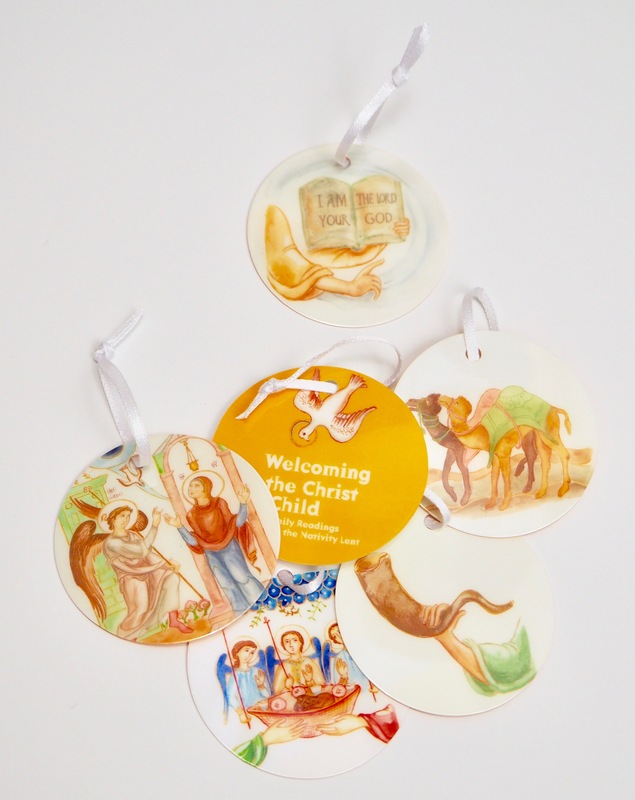 For years my family has tried to make our own ornaments or to adapt ornaments made for non-Orthodox Jesse Trees, but as I looked over Jelena’s wonderful illustrations, I yearned to have a set of beautiful, durable ornaments to match. And now we do! With these beautiful ornaments, we can mark the progress of our family’s journey toward Christmas. As we read each story, we hang colorful ornaments that match the book’s illustrations! Last year, every time a guest came into our house, our six year old lead them over to our Jesse Tree (which was actually a thick ribbon running across a living room wall) and went ornament by ornament through, telling each story she’d learned along the road to Christ’s Nativity. You can use an Advent calendar, a tree, or a simple ribbon — create something as simple or as creative as you like. These ornaments are made of durable plastic, so that toddlers can love them (and hold them and taste them) as much as they like, without wear and tear. 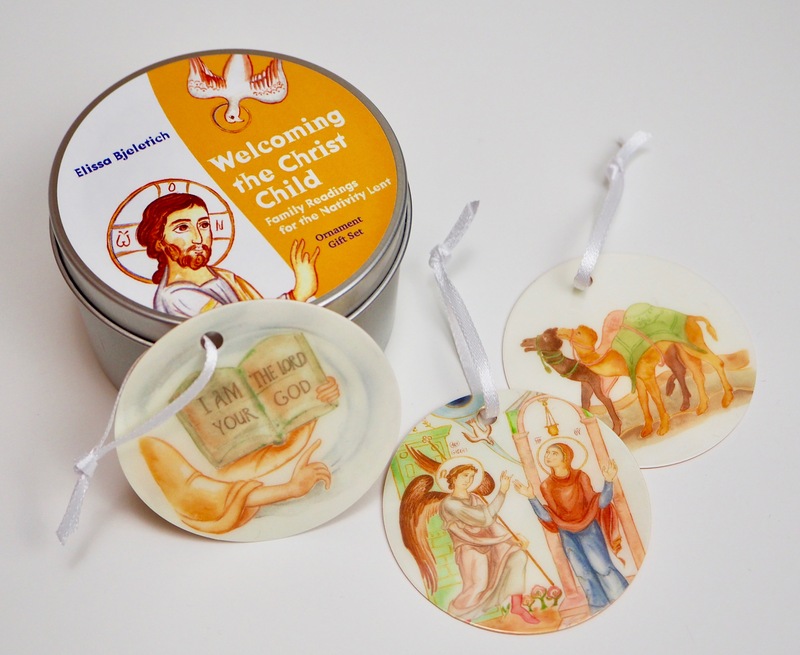 We can store them away in their matching tin, so that they’ll be ready for use year after year, becoming a cherished family tradition that enriches our understanding of the Nativity. I can’t wait. 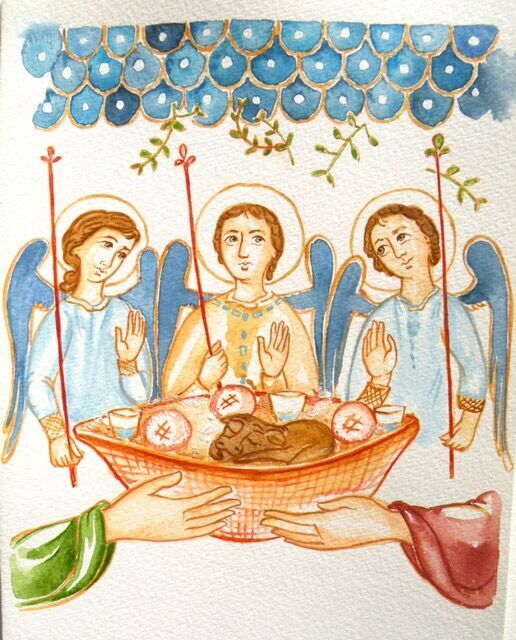 The Nativity Fast begins on November 15 on the New Calendar, and November 28 on the Old Calendar. Let’s start thinking about how we’re going to mark the fast now, so that we’re ready for it when it comes! The sets are available at Sebastian Press and at the Ancient Faith Store. how much is the ornament set? Hi, Alexandra! We settled on plastic to keep the price down.The book retails for $20, and the ornaments for $25 — but the two should be offered as a set for $40. I was hoping to wrestle the price down even lower, but the Orthodox market is such a small niche that we just cannot order in quantities high enough to drive it lower! I fervently hope that $40 will be attainable for most families. This looks like such a wonderful resource. 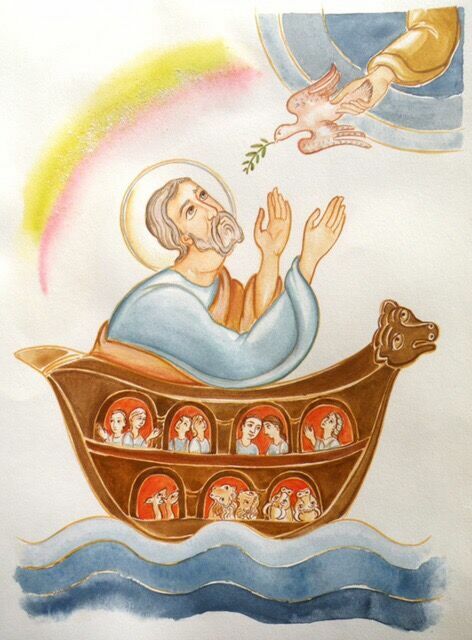 I have been similarly drawn to and frustrated by Orthodox Jesse Tree readings. The ornaments seem to be just what you describe, so beautiful. I found the Amazon preview helpful in getting a feel for your telling of the stories and layout. This is definitely worth $40 to us, even on a careful budget. Thank you, Annalisa! I am very glad to hear that! Lovely idea! I’ve ordered a set. I’ve encouraged my adult godchildren to look at the set and consider a purchase for their families. 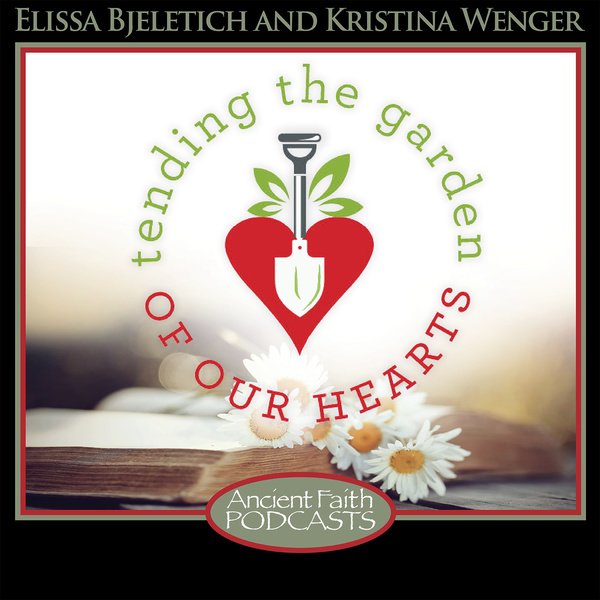 Thank you Annalisa for mentioning the Amazon preview. That confirmed my decision! This is the best description & explanation I’ve ever read on the Jesse Tree. I had never even heard of it until 5 or so years ago & have tried to understand the concept behind it for years now but really couldn’t find much explaining it. Thank you! I’m really intrigued by this now! Thanks, Jennifer! I have to admit, this is what the Jesse Tree means to me — now that you mention it, I have not seen many articulations of the nature and purpose of this tradition! This is what I’ve gathered based solely on looking up Jesse Tree examples… this must be why they do it, right? Either way, it’s why I’m doing it! These look beautiful! Can you provide a list of the 40 readings? How did you select them? Hi, Laura! After looking at a lot of Jesse Tree lists, I decided to include major figures of the OT — Adam & Eve, Noah, Abraham, Jacob and Joseph, Moses, Joshua, David and Solomon. I also included those important to our tradition — like the three Holy Youths in the furnace and Daniel in the lion’s den and Jonah — and one that only we read (Tobit). The final chapters cover Joachim and Anna, Zachariah and Elizabeth, Joseph and Mary. Each story is fleshed out and its meaning within the context of God preparing His people to receive Christ is laid out clearly. I hope that helps! Oh and don’t forget Ruth and Naomi! I especially took care to look at the genealogy of Christ and to include figures there, so that our children would recognize them! Thanks! What’s the one in Tobit? We’re recent converts and I am not familiar with it. Tobit is so short that it fits into one night’s reading! The Book of Tobit is only four chapters, and tells the story of Tobit’s son, Tobias’ journey with an angel (Archangel Raphael). It’s lovely! Any idea when they’ll be available from Ancient Faith? The Sebastian Press website mentions that due to high demand they won’t ship within 10 days…just wondering how long the backorder is. Thanks! Hi, Laura! We had such high demand that Sebastian Press sold out! I just got them a third shipment and they’ll receive it Monday, so order without worry — it will be shipping out next week, no problem. Ancient Faith should also have them online soon, but I don’t know the exact timeline there. Okay thank you! I may wait a little bit to see if Ancient Faith gets it in, since I think they’ll charge less for shipping. But if they don’t list in the next few weeks I’ll buy from Sebastian. Thanks!